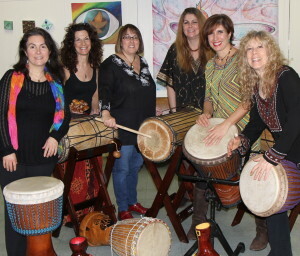 The DrUUmatics are an all women drum ensemble that serves as a drum ministry for the South Nassau Unitarian Congregation (SNUUC) in Freeport, New York. The DrUUmatics playing at the Multi-Cultural Salute to Black History Month in Freeport, NY. 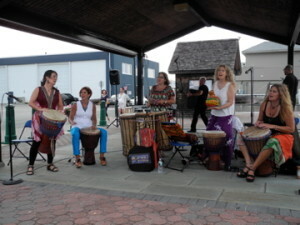 “Kuku” is a traditional West African rhythm that is played for the fisherwomen when they return home with their catch.